Yeah, but: Refuge of last resort? The Long Version: It seems like such a good idea – you can use almost any lens on a Micro Four Thirds camera. All you need is the correct adapter, and it can bring back lenses from extinct systems, enable exotics, or otherwise expand the available range. What could go wrong with that? There ain't no such thing as a free lunch. Converting lenses invariably involves compromises that native lenses rarely face. Awkward focal lengths, poor balance, flawed ergonomics, suboptimal image quality; adapters are extra hassle even with lenses that are designed for manual focus and aperture control. In the best case of an electronically coupled adapter, such as the ones that fit Four Thirds lenses to Micro Four Thirds cameras, mixing systems is relatively painless. The 4/3 50mm f/2 Macro lens lives on a really great Panasonic adapter, so all that I lose is autofocus, which is a trivial concession for macro lens anyway. Moving the (electronic) focusing ring magnifies the LCD view, half-pressing the shutter button puts the camera back in 'compose' mode, and aperture tasks are automatically controlled by the camera. The process is still somewhat flawed, but so is the Panasonic 45mm macro, so it's a wash. 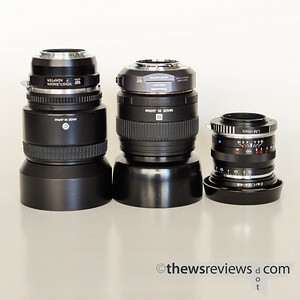 There are other Olympus lenses that would do well on m4/3 bodies; with the sole exception of the 7-14, no "high grade" or "super high grade" lens has a native m4/3 equivalent. But these are the larger, heavier lenses that are a poor fit for the Micro bodies in the first place. 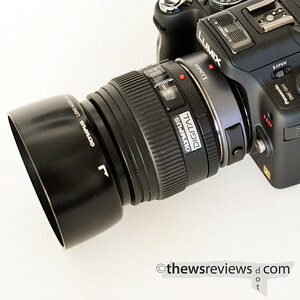 Is the lens quality improvement from putting an adapter on the 50-200 worth the extra size and hassle versus just using the micro four thirds 45-200mm, especially while Olympus 4/3 SLRs are still available? 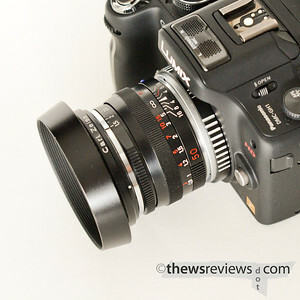 Another popular system to adapt to m4/3 is Nikon's F-mount. I have a high-quality adapter made by Cosina, bearing the Voigtländer name, which doesn't have an aperture control. Other adapters offer this, letting "G" lenses be used with an approximate degree of control, but I once had a pretty good collection of AF-D lenses that still have the aperture ring so this wasn't important. This is where we reach the 'stop-down metering' issue, which complicates the shooting sequence. First, open the aperture to its widest for the clearest live view image and shallowest depth of field. Press the correct button combination to magnify the live view on the right spot, do the back-and-forth thing with the focus, and then do whatever it takes to dismiss the magnified live view and recompose. Now, before the subject or camera moves out of focus, stop the aperture back down to the correct setting to take the photo. This means counting the clicks, because you can't see the numbers change with the camera in position, or just guessing. All set? Great! Snap away. And the ugly reality, as if it needed to be any worse, is that most autofocus lenses have very bad manual focus control. Short throw, light action, sloppy gearing; not only is the lens on the wrong camera, it's now depending on something that was an afterthought from the very beginning of the design process. 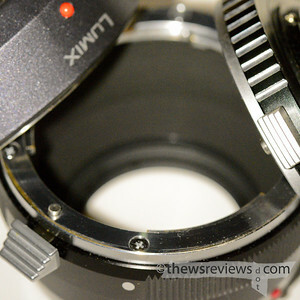 But some lenses are actually meant to work with manual aperture selection and manual focus that's controlled by feel. M-mount lenses for Leica and compatible rangefinders, such as my Zeiss Ikon and its lenses, are small optical jewels that seem perfectly suited to the m4/3 format. Indeed, these are excellent lenses that are so expensive that they're likely to be worth more than the camera, when bought even second-hand. Naturally, I bought a cheap generic adapter for mine, which has a bad release mechanism and unsatisfying build quality. Working with adapted lenses is where Olympus cameras have a real advantage over Panasonics, since the in-body stabilization can make a wonderful wide-angle like the ZM 35mm f/2 into a stabilized short telephoto. Of course, cropping out three-quarters of the imaging circle loses most of the character that makes this lens great in the first place, in the same way that it fundamentally changes the character of all of the lenses used. But if they're just kicking around doing nothing, at least using an adapter is cheaper than buying a compatible digital camera for it, or even a film body. Not excellent, but expedient. Inherently compromised, lens adapters fall somewhere between 'better than nothing' and 'no other choice'. The fact that sometimes they really are the best option for the camera is a fault, not a feature. Yes, they expand capability and can bring neglected favourites back into use, but there has never been a time when I've used an adapted lens when there's a native equivalent available. The only way that I can wholly endorse using an adapted lens is when it's done for artistic or expressive reasons – but if that's the goal, then all practical considerations are already irrelevant. That's an exceptional condition to aspire to. Very true. I was so excited about these "______" to M43 adapters for a while but realized shooting macro is about the only time I'll go out of my way to use them. 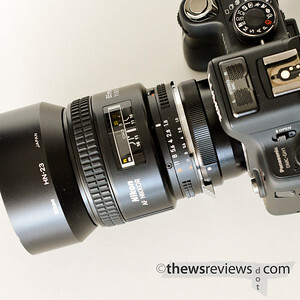 The Zeiss-GH2 set up you have looks pretty awesome though.